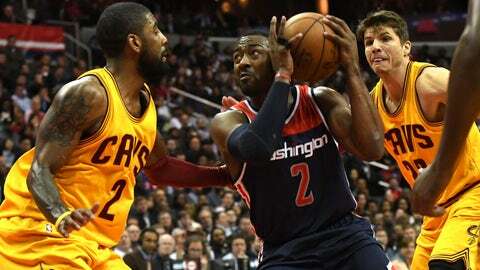 The Washington Wizards lost a close one Monday, 140-135, to Cleveland in overtime. But the young Wizards showed a lot of fight against the defending NBA champions. The Washington Wizards pushed the Cleveland Cavaliers to the brink Monday night, but they couldn’t get the win. It took some added heroics from superstars Kyrie Irving and LeBron James to get the 140-135 overtime victory. James made a three-pointer off the glass with 0.3 seconds left to send the game into an extra session. The Wizards’ 17-game home winning streak and seven-game winning streak overall are no more. But there were a lot of positive takeaways from the game as well. The Wizards are now 2-8 against Cleveland in their last 10 meetings. Granted, Cleveland shot 19-for-38 from three and 53.3 percent from the floor as a team. But, Washington doesn’t have much to hang its head about. They got arguably the best performance from their Big Three, who combined for 94 points. Forward Otto Porter Jr. and shooting guard Bradley Beal stepped up their play big time as well. Porter Jr. scored 25 points, shooting 5-for-7 from the three-point line and 8-for-11 overall. Beal was one point shy of tying his career-high in points with 41. He shot the ball at a high volume, connecting on 16-of-28 shots on the night. He was 6-for-14 from three. 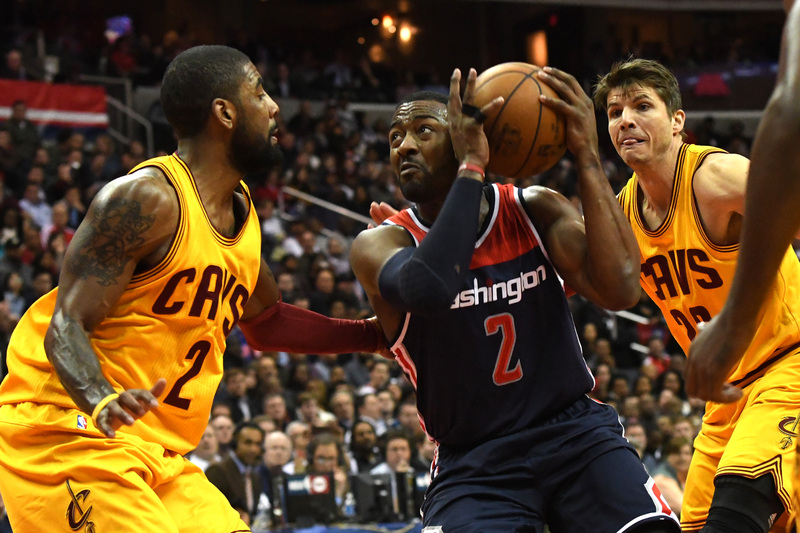 Each Wizards starter scored in double figures, but still Cleveland prevailed. With a lot more season to go, here are three things we learned about the Washington Wizards in their loss. The Washington Wizards scored 36 points in the paint in Monday night’s game against Cleveland’s 66 points in the paint. Center Tristan Thompson scored 20 of those points and grabbed six of his 12 rebounds on the offensive end. The Wizards struggled on the inside and against the dribble drive. 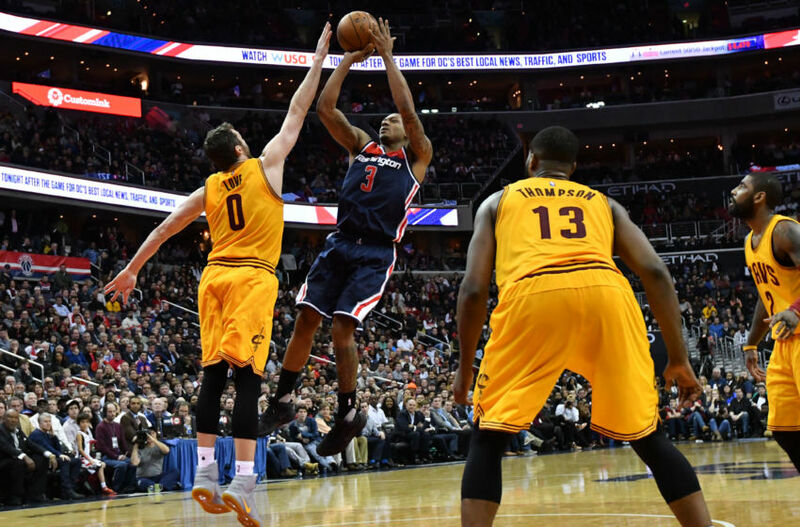 The lack of an interior defender was a glaring weakness in the Wizards’ 140-135 overtime loss to the Cavaliers. 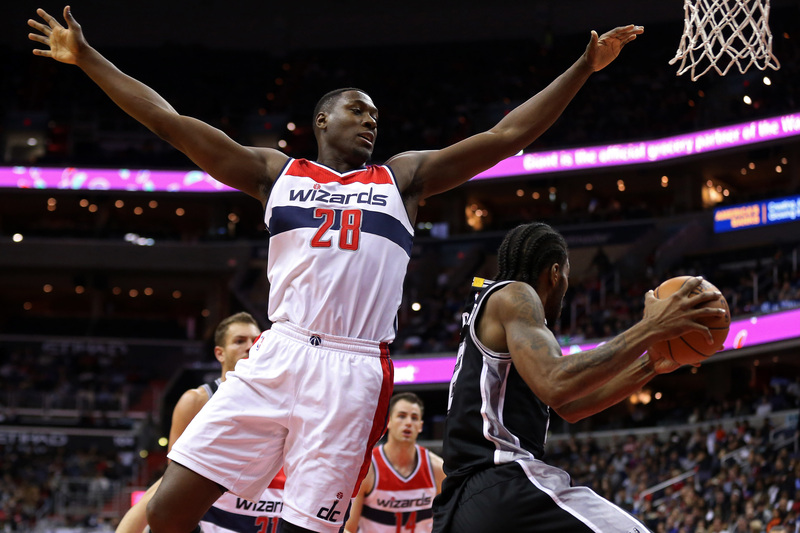 Adding Ian Mahinmi to the rotation will soon change things. Washington forwards Markieff Morris and Kelly Oubre both fouled out of the game. Center Marcin Gortat finished the game with five fouls. Granted, the game went into overtime, but add Mahinmi to this young rotation and the Wizards may be on to something. Mahinmi averaged 9.3 points, 7.1 rebounds, 1.5 assists and 1.1 blocks per game for the Indiana Pacers last season. The 30-year-old center is close to a return by the end of February and can’t wait to potentially play a part in the story this season. Shooting guard Bradley Beal put on a show for the Washington Wizards. Everybody took a back seat, including point guard John Wall, and watched as Beal put up a game-high 41 points to go with five rebounds and eight assists. The atmosphere was playoff-like all game long and the Wizards largely answered the bell. Beal nearly tied the game with five seconds remaining in overtime, but his shot just missed. He shot 16-for-28 from the floor, including 6-for-14 from three, to lead the way for Washington. Beal is already a little irked by the league turning down his invitation to the Three-Point Shootout after he wasn’t selected to the All-Star Game. Otto Porter Jr. should have made it, considering he leads the NBA in three-point shooting percentage at 46.7 percent. In his fifth NBA season, Beal has shown he’s ready to make the step to All-Star status next to John Wall. Monday night was his third 40-point game of the year. He’s averaging a career-high 22.2 points per game and has managed to stay relatively healthy this season. He has missed five games, however. If Beal can continue his play, the Wizards could have one of the best backcourts in the NBA by the next few seasons. Next: Wall: Distributor or Scorer? Washington Wizards’ point guard John Wall played well, but he’s still learning how to score and be a distributor at the same time. He scored 22 points and recorded 12 assists, but he also had six turnovers and just four rebounds. In the fourth quarter, Wall became the closer that he can be. He scored six points in the period and set Bradley Beal up for the game-tying three with 43.7 seconds left in the game. However, in overtime, he scored just three of the Wizards’ 15 points and dished out only two assists. LeBron James fouled out to begin the overtime period as well. When the opponent is without their best player, Wall has to learn to shine as the best player on the floor. The Wizards had just 10 fast-break points while forcing Cleveland to commit 20 turnovers in the game. There’s room for improvement, but with such a young core of players, it’s a good thing for head coach Scott Brooks and the Washington organization. In a game with 15 ties and 16 lead changes, John Wall and the Washington Wizards showed they’re ready to hang with the top team in the East. Now, with a 30-21 record, they just need to keep it up. The teams meet again on March 25, also at the Verizon Center.